POLOCROSSE: Tansey players Beth Hafey and Lauren Sillitoe will pull on green and gold next year as they play for Australia at the 2019 polocrosse world cup. The team selection was finalised at the national polocrosse championships which saw Queensland claiming the open women's national title. Hafey was named the best position three in the open women's section at the championships. "We played a lot of tough games and we won our final which was excited considering we haven't won in a long time,” Hafey said. The Tansey duo are the sole Queensland players selected to play for Australia. Hafey, who has recently stepped up from the under-21 ranks is looking forward to the opportunity to play on the world stage. "It is a great honour to play for Australia and at the same time getting to play with the top players is something that is new to me,” she said. "It will be my second time being in the open team playing with older people and it is great to be with players you have looked up to and getting to play alongside them. Sillitoe is no stranger to the world stage. Originally hailing from WA she was a member of the 2015 World Cup team and is a representative player of many years. As a representative player Stillitoe continues to love the sport as much as she did as a junior. "Once I started that was it and have never stopped since. The horses, the speed and just everything about it is what hooked me,” she said. 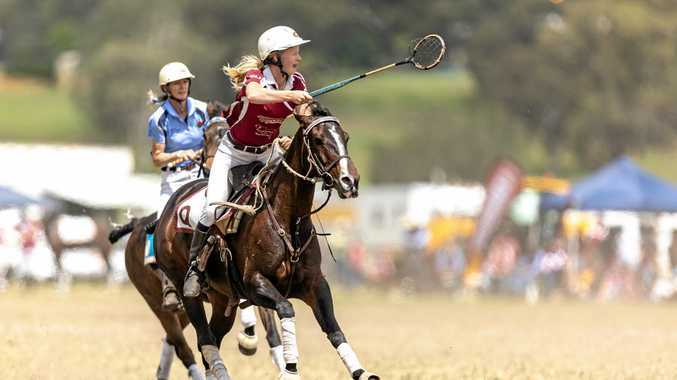 Queensland Polocrosse president Christine Franklin said everyone has a chance at the World Cup in Warwick on April 29, 2019 but Australia will have the home ground advantage. "South Africa are the favourites; the past two years they have won but it is in our home country,” she said. Sillitoe and Hafey both have a great track record and will hard to stop.